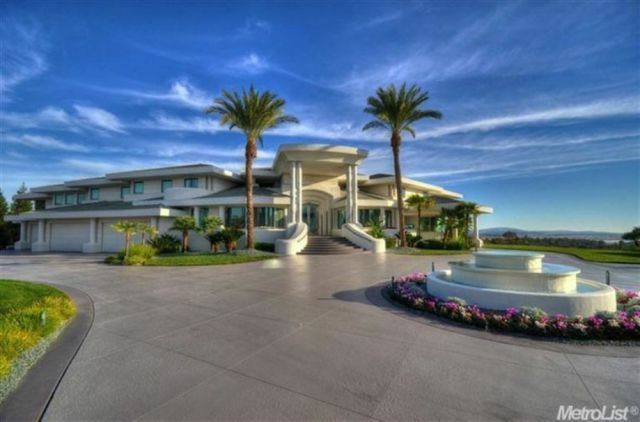 A 2.5-acre estate that once belonged to Eddie Murphy is now on the market for $12 million, according to The Wall Street Journal. 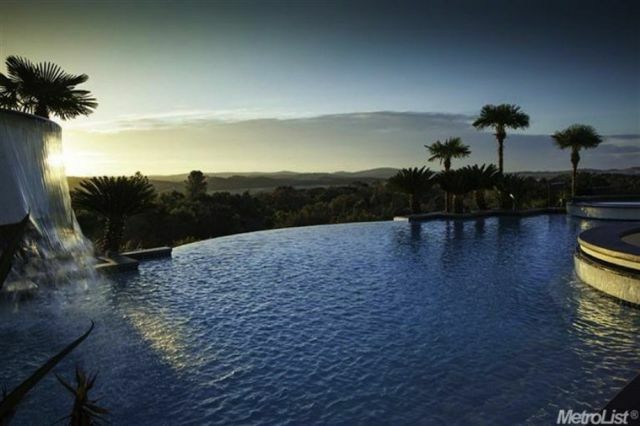 The mansion is situated on 2 and a half acres of land in the Granite Bay suburb of Sacramento. 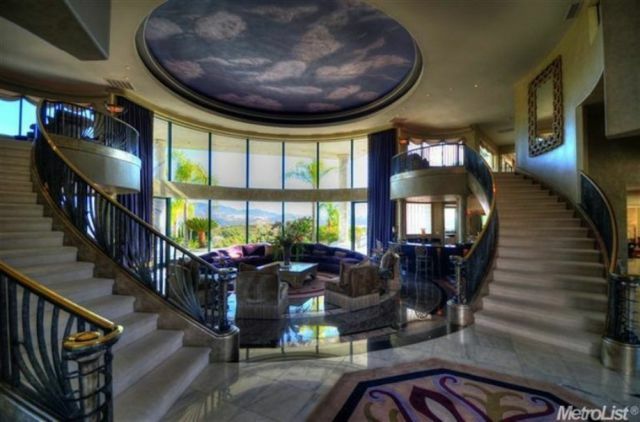 The entrance is wide and dramatic on approach. 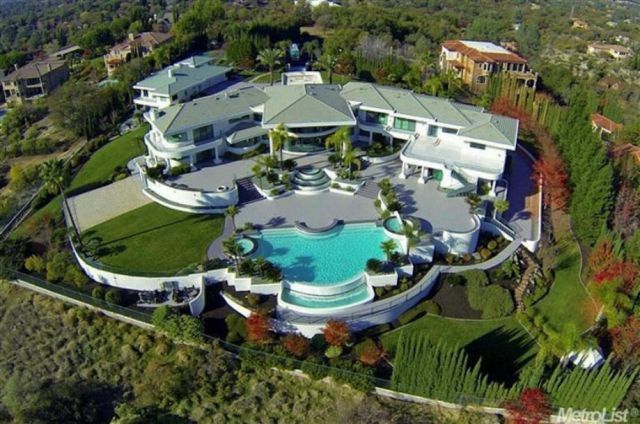 The mansion and its pool look even bigger from the backyard. Inside, lots of purple details grab your attention. 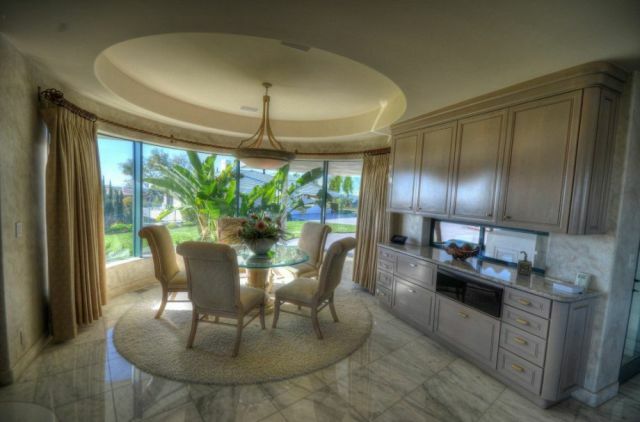 Enjoy some breakfast in this sunny spot of the kitchen. 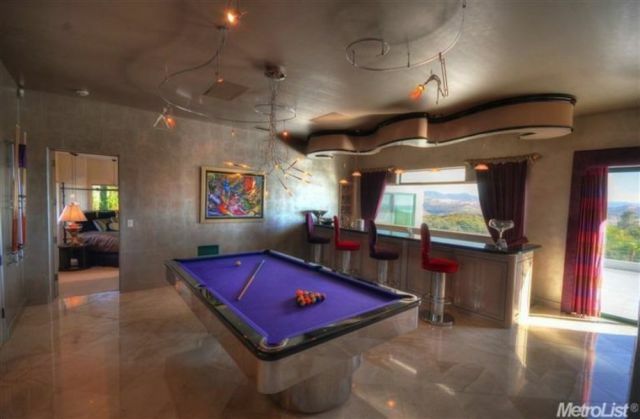 For a change of pace, play a game of pool on this purple table. 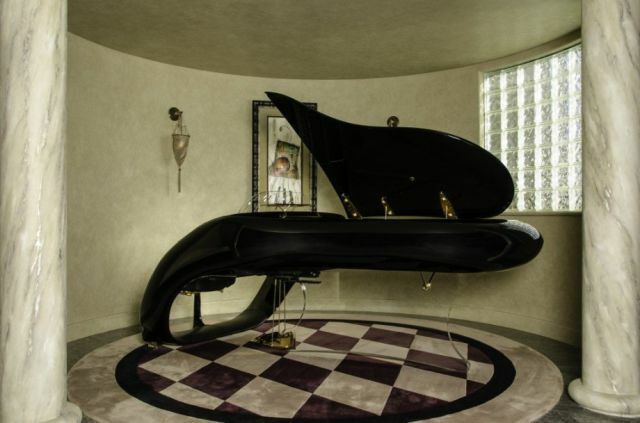 In one corner stands a Schimmel Pegasus piano designed by Luigi Colani, one of only a few of its kind in the world. Lounge on another purple couch in this comfortable sitting area, complete with fireplace. 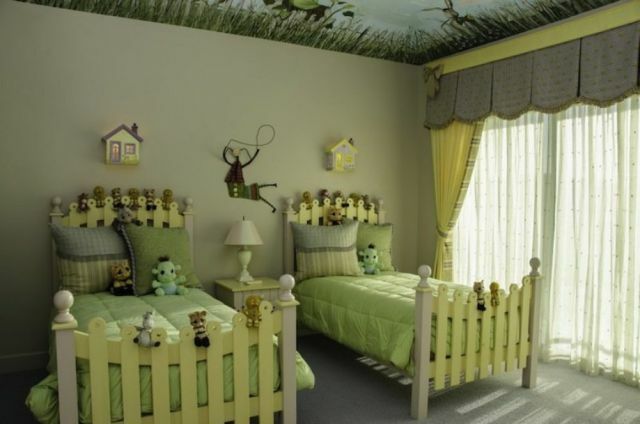 One of the kid’s bedrooms is Shrek-themed, in a nod to Murphy’s role as ‘Donkey’ in the films. 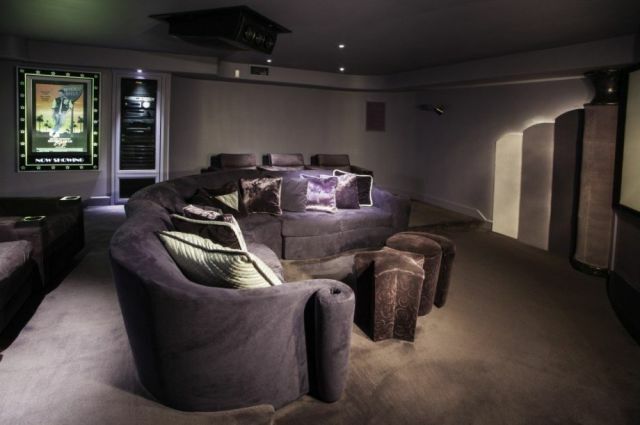 Or sit on yet another purple couch as you watch a movie in the screening room. 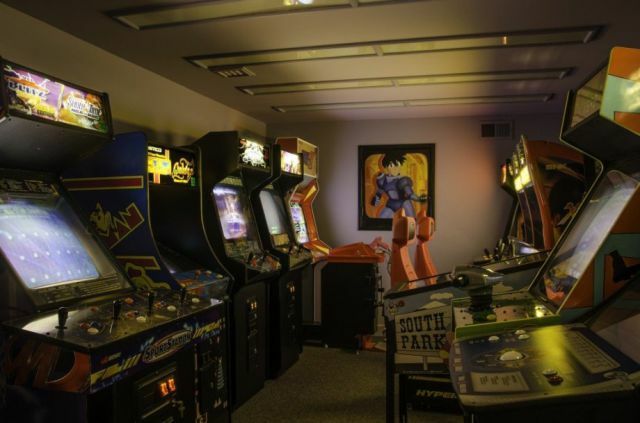 Playing in the fully stocked arcade is another way to spend your downtime. 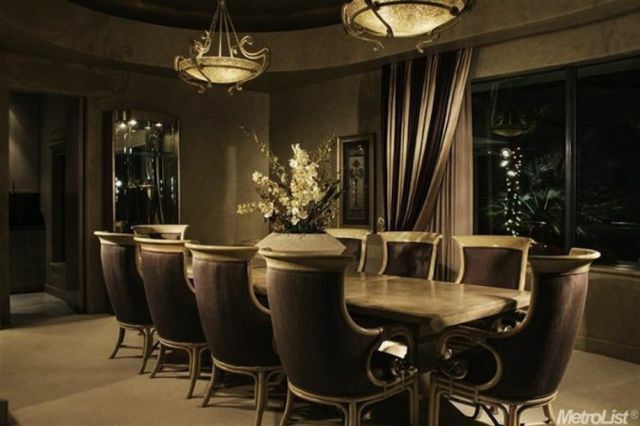 Dark furnishings adorn the formal dining room. 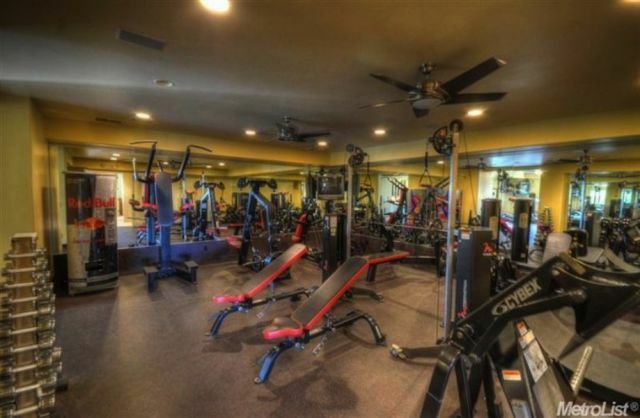 The 1,200-square-foot gym even has a sauna and steam room. 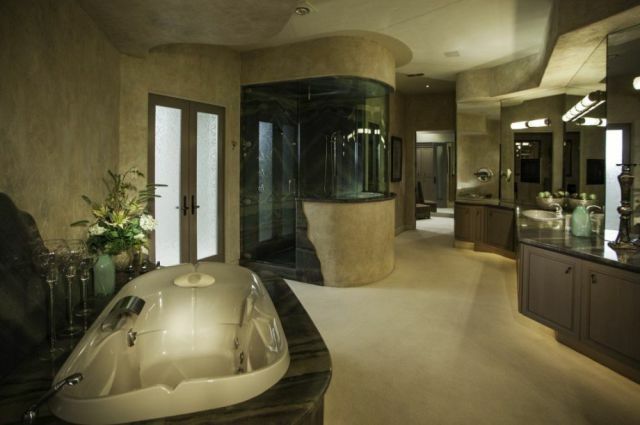 The master bath is pretty huge, though it’s only one of 14 bathrooms in the house. 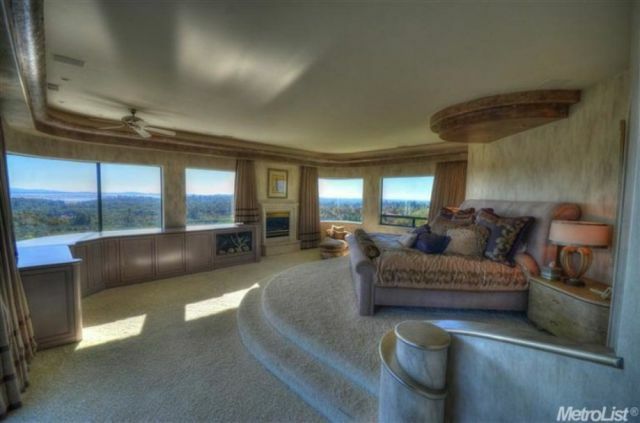 Upstairs, the master bedroom offers sweeping views of the surrounding hills, especially from the elevated bed. But the view is truly awesome. 12.5M is bargain price for a house like this ! The text implies that you get all the furnishings with the house.